Baltimore City Councilwoman Belinda Conaway(D, District 7) has proposed legislation to end the use of speed cameras in Baltimore City. Conaway argued that if the devices had been working correctly to reduce speeding then revenues from should have been declining, but this has not occurred. "We can see that this is a safety measure that is not working." Conaway proposed that the city department of transportation to look at "hotspot areas" and create "traffic calming measures" in those areas. Other types of engineering traffic calming measures have been demonstrated to be at least as effective as speed cameras in controlling traffic speeds. 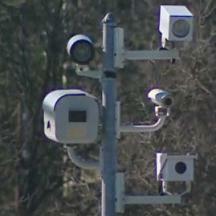 Conaway suggested that any city residents who wish to see speed cameras repealed need to let their council members know.